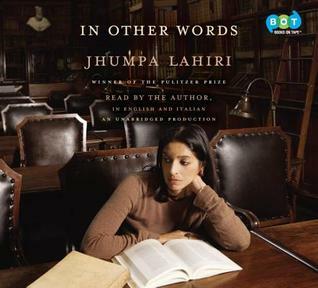 Jhumpa Lahiri's writing is wonderful and I would love to read this... though the audio sounds tempting, too. I usually enjoy authors reading their own memoirs. I was impressed with Ann Goldstein's translations of Elena Ferrante's Neopolitan novels and would be happy to read her work again, too. I'm curious about the Ferrante novels. I've heard nothing but good things about them. This sounds so amazing! I'm a bit of a linguaphile myself so this sounds right up my street!! I haven't tried Lahiri yet either but I hear she's great. Language is fascinating to me too. I think you'd like this. This sounds quite interesting! When I was in my late teens/early twenties I inexplicably became fascinated by French, and I wound up minoring in it. I'm not sure I would say the language is a part of me, though. YOu should check it out and see if you can relate to it! What a different memoir. (Is it a memoir if it only covers one aspect of her life?) I can't say that this remotely interests me, but hey, she is tri-lingual which is more than almost everyone here in the U.S. I do find it interesting that she sounded stiff in English but less so in Italian. I have no idea what that means, but it is interesting. It's definitely a memoir. It was interesting to me too and I wonder if it was because someone else had translated her words into English. I think that would throw me off if I was her. Isn't it interesting the things that grab people! The way she just felt this pull toward Italian, rather than any of the other languages of the world, and went and pursued it -- that's so fascinating to me, how that happens to people. I know I tend to go all in when I find a new hobby but never a language. I admire her ability to focus on that one thing. I get too distracted by other new and shiny ideas. I have so many projects on the go right now.